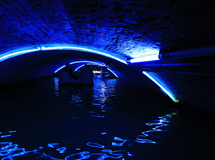 Let yourself be enchanted by this mysterious world of light and sound in the belly of the earth.Experience an exciting trip and have fun with an experience of a special kind in the old water supply canals of the former milling roll! Those canals are the former industry canals of the original rolling mills and thus contemporary witnesses of the regional industrial culture. 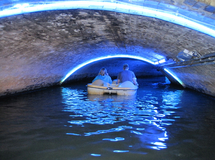 Make a sometimes mystical and very interesting pedal boat trip in the underground channels. 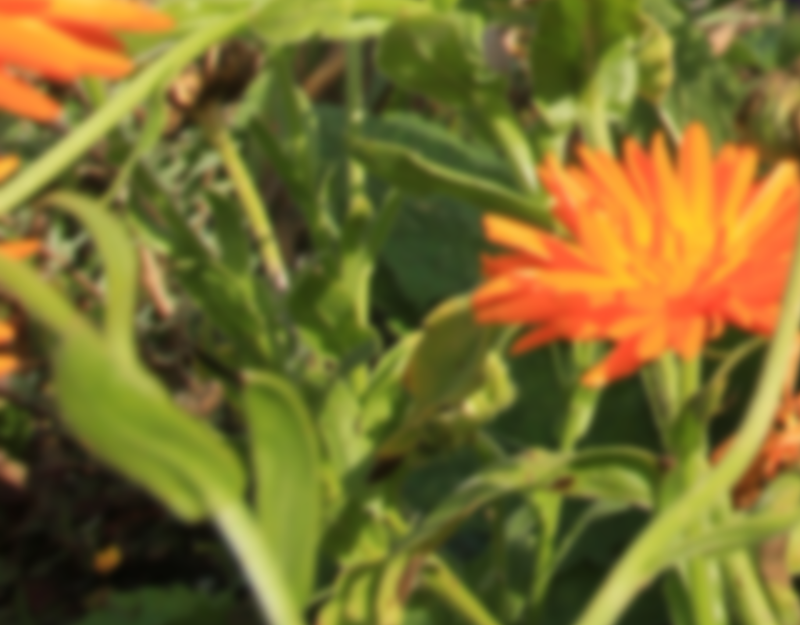 Be excited and let yourself be surprised! Information: access to the pedal boats for children and juveniles up to 16 years only if accompanied by an adult. 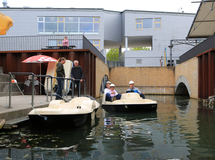 The use of the pedal boats is already included in the entrance fee.